Vanderbilt Tennis Club is the latest stage in this space's long and peculiar history. Originally an art gallery, and then a CBS recording studio, it was taken over in 1966 by a Hungarian immigrant who installed a 65-foot ski slope made of astroturf and two tennis courts. Today, Vanderbilt Tennis Club is the newest tennis facility in Manhattan. The club is equipped with one regulation sized indoor hardcourt, One junior court, 2 practice lanes and a fully equipped fitness room. We are considered the "hidden gem" inside the terminal and one of NYC's best kept secret, so don't tell anyone! Our goal is to offer a great tennis experience to people who live and visit NYC. Please visit any of our sister clubs or our proshop for your tennis needs. Sutton East Tennis Club has 8 newly surfaced indoor clay tennis courts in a climate controlled environment, conveniently located in Manhattan's Sutton Place neighborhood on York Avenue between East 59th & East 60th Streets, directly under the Queensboro Bridge. Yorkville Tennis Club is located on the Upper East Side. 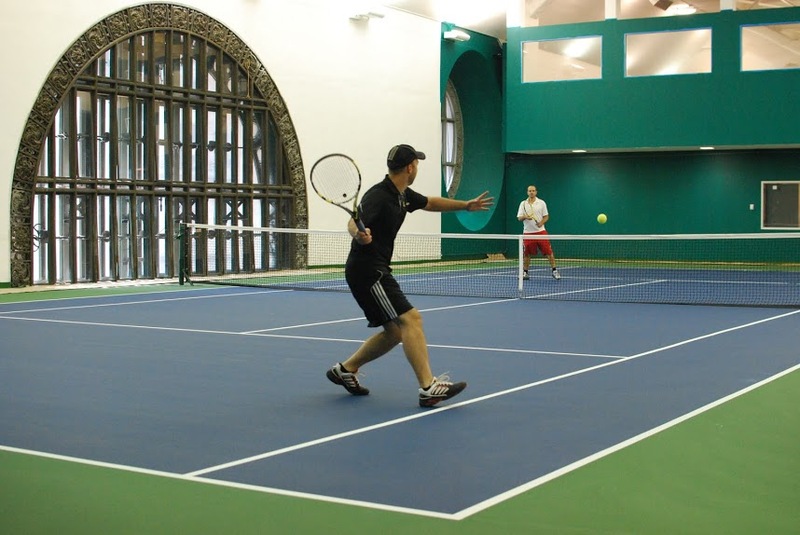 The 2 indoor hard courts are located on the 3rd floor rooftop of a doorman residential building on 89th and York Avenue. We love visitors. Check out the FAQ page for the most common questions.